Visitors to Freedom are astounded by the lingering presence of the "Old West," as nearly every building in the downtown area is fronted with native cedar wood in designs typical of an early day cowtown. Just to the south of Freedom, amidst a series of deep, rugged canyons inhabited by Indians and outlaws years ago, is Alabaster Caverns State Park. The caves serve as a summer refuge for over one million Mexican Free-Tailed Bats that can be viewed emerging in mass for their nightly insect feeding. Just west of Freedom the Cimarron River has created one of Oklahoma's largest natural salt deposits. In the rolling hills north of Freedom is a remote and lonely site known as the Salt Haulers Grave, where a crude, hand-carved stone marks the burial site of two unfortunate cowboys, victims of one of American history's last-known Indian raids. Freedom's population swells to about twenty-five times its normal size the third weekend of August each year, as local volunteers stage the "Annual Freedom Rodeo and Old Cowhand Reunion," This annual event has been recognized as one of the more outstanding activities in the state of Oklahoma. The week-end long action includes nightly rodeos and western music and dancing, and on Saturday of rodeo week-end a free chuck-wagon feed and fine western art and country crafts show are held in downtown Freedom. 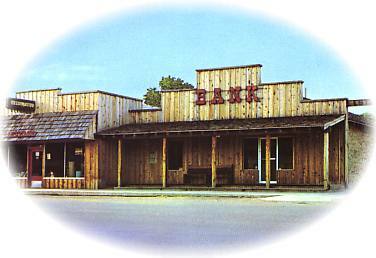 Saturday afternoon will find visitors anxiously awaiting the performance of the "Great Freedom Bank-Robbery and Shoot-Out," which is a melodramatic farce put on by local residents. Downtown Freedom abounds with interesting attractions, including an inspirational cowboy building mural entitled "Posting the Colors." The Freedom Museum highlights local history. The Cimarron Cowboy Monument is a magnificent portrayal of the early-day cowboy and the environment in which he lived and loved so much. The Freedom Public School ranks among the very best, and provides the latest in curriculum and technology training. The cowtown atmosphere, the beautiful surroundings, and the genuine hospitality of its people, all blend together to make Freedom --- a town as unique as the name itself! Old Jail and "Boot Hill"
Alabaster Caverns State Park, the largest gypsum cave in the world open to the public, is 3/4 miles long. Its rock and mineral formations can be seen in few other places. Massive boulders of alabaster, a fine-grained mass gypsum, is seen in many colors: pink, white and even a rare black. This ongoing tradition began way back in the year 1939, when members of the Freedom Chamber of Commerce decided to sponsor a reunion and chuck wagon feed in honor of the old time cowhands of this vast area who braved the perils and hardships of the range in search of their fortune. This huge slab of Oklahoma granite known as the Cowboy's Memorial is the site of the annual Cimarron Cowboys Association meeting following the chuck wagon feed. It took seven years for the monument to move from thoughts to granite, but in April of 1950, the memorial was dedicated. Almost everyone is intrigued with caves. We love to explore them and talk about what might have happened in them hundreds of years ago or what might live in them now.